The Grass snake is the largest of the three British Snakes, reaching up to six foot in length (180cm), although most are between most are 2 to 3 feet in size (60 to 90cm). 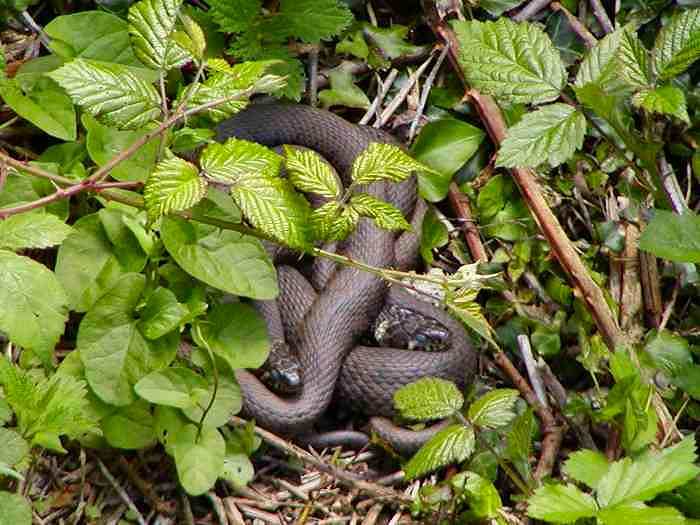 This makes the grass snake Britain's largest reptile; the females typically being larger than the males. The body is an olive-green colour with black spots or lines regularly spaced along the back and flanks and a pale yellow collar immediately behind the head. It lives in areas close to water where it feeds on frogs, toads, newts and small fish. It will also take small mammals such as mice and rob bird’s nests. They are non-venomous, very strong swimmers and hibernate from October through to March and April.